Are you a human sponge? Do you soak up facts and trivia? If so, this is the book for you! 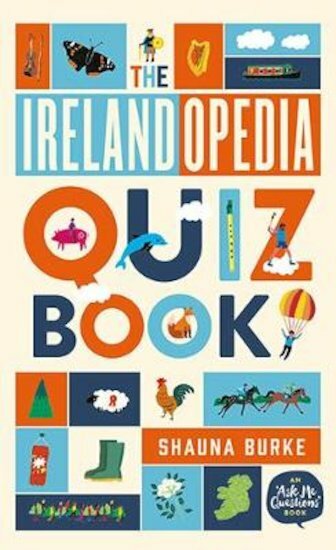 Heaps of cool quizzes all about Ireland, from the team who brought you Irelandopedia. Inside you’ll find ten bumper quizzes, each containing five rounds – perfect for classrooms, long journeys or just for fun. Think you’re an expert on Ireland? Come and show what you know! Irish geography, history, landmarks, foods and more!